AGL Energy Services is always looking for smarter solutions. As one of Australia’s leading integrated energy businesses, AGL Energy has to continued to set the standard in both renewable energy generation and overall power creation. A fully-integrated part of this business is a division called New Energy. Lead by experienced Technical Services Manager John Green, this bespoke business offshoot caters for Type B industrial gas applications from small to large, supporting all manner of projects such as co-generation plants and large biogas plants. We were fortunate enough to sit down with John to discuss New Energy and how the enterprise uses the Testo 340 our industry-leading emissions analyser. Which applications do you need to use a gas analyser for? Basically, we use the Testo 340 for service-angle commissioning. Used regularly, we have standardised many functions on the Testo 340 because we are servicing a range of diesel engines and applications. In the past, we have used other products on the market, but the Testo 340 gives us the adaptability moving forward. Of course, the gas analyser is perfect across a number of important business assets. This includes boilers, process heaters and ovens. The Testo 340 add value to AGL Energy Services. Do you monitor and service the efficiency of these engines? There are many elements that we consider with the main ones being air to fuel ratio and pollution levels of CO etc. For example, the former is tested to ensure the air and fuel mixture is correct and the engine is operating at peak capability for the longest possible time. We have been using Testo instrumentation for 10-12 years. Although we have used other business products in the past, we have settled on Testo due to the high quality and superior support. We also use Testo infrared cameras, leak-detection units and anemometers to complement our wider business functions. How has this equipment benefited your organisation? 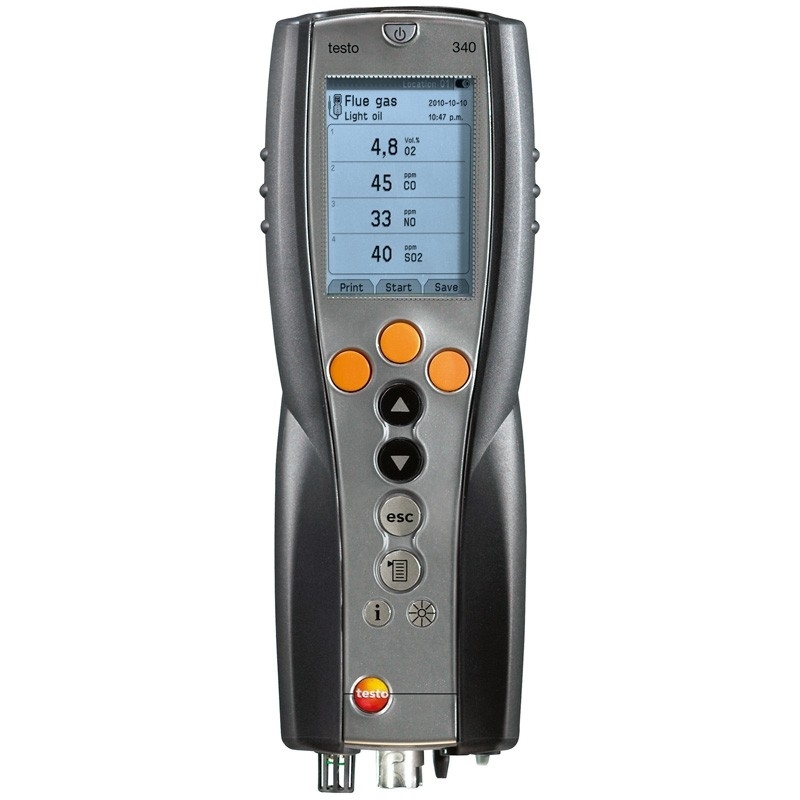 The Testo 340 is a model that is adaptable to a number of application, you can upgrade it, buy accessories for it to diversify its usage. It is important to note its remote reading which is handy particularly on larger plants. As there is often quite a distance between where you are sampling and where you are adjusting, the remote readout function can be used to make changes – rather than having long pauses using long sampling hoses. The technology of analysers has changed considerably and I go back to the days of using chemistry-based applications such as colour-gradient reactants to get positive or negative indications. As such, the newer technology such as the Testo 340 is great for the next generation coming up through the ranks. How is Testo supporting business growth? Obviously, we are a safety and sustainability-orientated business and whatever we do, we want to do it as safely and cleanly as possible. As a major energy provider in Australia, we need to stay ahead of the curve and Testo is helping to reach these goals. I think Testo is the leader of the pack at the moment. At the end of the day, you get what you pay for and the Testo technology and service is very professional and logical. Next PostHow crucial is monitoring temperature at the Institute For Immunology & Infectious Diseases?